Roma 30 Maggio - Un bellissimo podio! Primo Apache figlio di It Ch Allymoon Gatto Silvestro e di Allymoon Bodrixina, allevato e condotto da Claudia Stajano, seconda Ch Allymoon Runa CIE di Antonella Campa e Rosaria Del Mastro e terzo Spencer fratello di Apache. 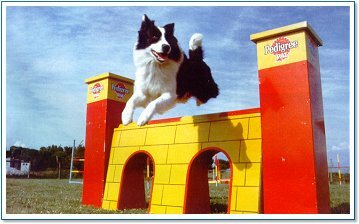 Ultime notizie dai campi di Agility ed Obedience ! Allymoon Unexpected Black and White Satisfaction (Wildblue Cahoid x Allymoon Zampette Nere) 1° in Jumping II ! Allymoon Bodrixina (Wizaland Strike it Lucky x Allymoon Utopia) 3° in Agility 2, 3° in Jumping 2 e 2° in Combi 2 ! Allymoon Runa (Ch Allymoon Ufo x Ch Jaya from Carolyn's home) 2° Combi 1! Allymoon QueenofSnows (Ch Allymoon Ufo x Allymoon Zampettenere) 2° in Agility 1, 2° in Jumping 1 e 1° in Combi 1! Allymoon Unexpected Black and White Satisfaction (Wildblue Cahoid x Allymoon Zampette Nere) 2° in Jumping 2 ! Allymoon Unexpected Black and White Satisfaction (Wildblue Cahoid x Allymoon Zampette Nere) 2° in Agility 2, 3° in Jumping 2 e 1° in Combi 2! Allymoon Intrigo (Ch Allymoon Cagliostro x Allymoon Utopia) 3° in Agility 2, 3° in Jumping 2 e 2° in Combi 2! Allymoon Maggy (Ch Allymoon Ufo x Allymoon Rosiecomeouttonight) 1° in Agility 1, 3° in Jumping 1°, 2° in Combi 1 ! Allymoon Intrigo (Ch Allymoon Cagliostro x Allymoon Utopia) 3° in Jumping 2 ! Allymoon Unexpected Black and White Satisfaction (Wildblue Cahoid x Allymoon Zampette Nere) 3° in Jumping 2 ! Allymoon Potter (Wildblue Cahoid x Allymoon It'smylovelymatilda) 2° in Jumping 1 ! Allymoon Una splendida luna (Wildblue Cahoid x Allymoon Zampette Nere) 3° in Jumping 1 ! Allymoon Potter (Wildblue Cahoid x Allymoon It'smylovelymatilda) 2° in Jumping D ! Allymoon QueenofSnows (Ch Allymoon Ufo x Allymoon Zampettenere) 3° in Jumping 1 ! Allymoon Quidditch (Ch Allymoon Ufo x Allymoon Zampettenere) 1° in Agiliy D, 1° Jumping D e 1° in Combi D ! 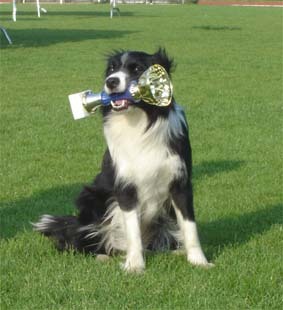 Allymoon Potter (Wildblue Cahoid x Allymoon It'smylovelymatilda) 3° in Agility D ! Allymoon QueenofSnows (Ch Allymoon Ufo x Allymoon Zampettenere) 2° in Jumping 1 ! Allymoon Unexpected Black and White Satisfaction (Wildblue Cahoid x Allymoon Zampette Nere) 2° in Jumping 1 ! Allymoon Quicksilverdrop (Ch Allymoon Ufo x Allymoon Zampettenere) 1° in Jumping 1 ! 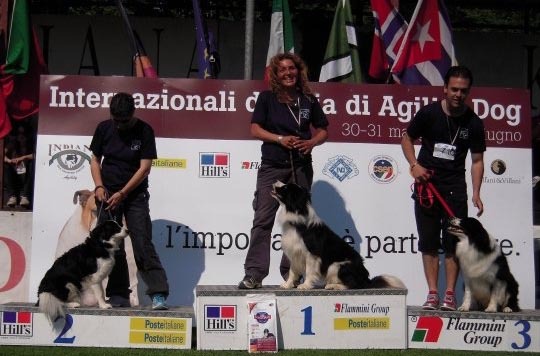 Allymoon Intrigo (Ch Allymoon Cagliostro x Allymoon Utopia) 1° in Agility 2, 3° in Jumping 2 e 1° in Combinata 2! Allymoon Runa (Ch Allymoon Ufo x Ch Jaya from Carolyn's home) 1° ecc netto in Jumping I e 3° in Combinata. 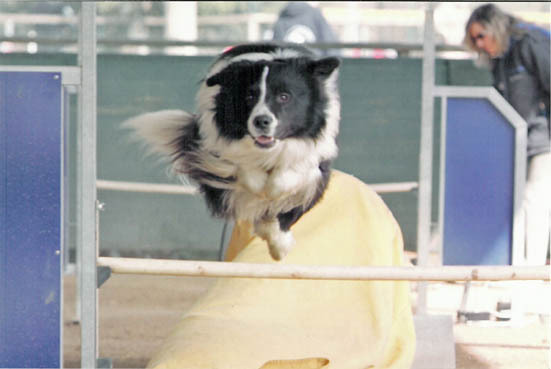 Allymoon Runa (Ch Allymoon Ufo x Ch Jaya from Carolyn's home) 5° ecc in Agility I, 4° ecc in Jumping I e 2° in Combi I ! Allymoon Ursula (Pluri Ch Sequoyahpark Mystical Warrior x Allymoon Heather) 3° in Agility II and 2° in Combi II ! Allymoon Fantasy Faith (Ch Allymoon Ufo x Gingerbell Glicia GLicori Jerani) 3° in Agility II ! 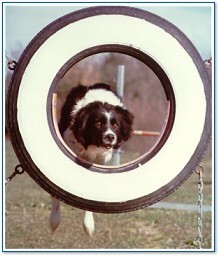 Allymoon One (Ch Allymoon Ufo x Ch Deansgrove Hazel) 3° in Agility D ! Allymoon One (Ch Allymoon Ufo x Ch Deansgrove Hazel) 2° in Agility D, 1° in Jumping D and 1° in Combi D ! Allymoon QueenofSnows (Ch Allymoon Ufo x Allymoon Zampettenere) 1° in Jumping 1 ! Allymoon Yris (Clan-Abby NZ Kiwi Peter x Allymoon It'smylovelymatilda) 2° in Agility 2 and 3° in Combi 2 ! Allymoon Yris (Clan-Abby NZ Kiwi Peter x Allymoon It'smylovelymatilda) 3° in Jumping 2 ! Allymoon Pils (Wildblue Cahoid x Allymoon It'smylovelymatilda) 2° in Jumping 1 and 3° in Combi 1 ! Allymoon Intrigo (Ch Allymoon Cagliostro x Allymoon Utopia) 2° Jumping 2! Allymoon Unexpected Black and White Satisfaction (Wildblue Cahoid x Allymoon Zampette Nere) 1° in Jumping 1 ! Allymoon Ursula (Pluri Ch Sequoyahpark Mystical Warrior x Allymoon Heather) 2° in Jumping II e 2° in Combi II ! Allymoon Unexpected Black and White Satisfaction (Wildblue Cahoid x Allymoon Zampette Nere) 2° in Agility I, 3° in Jumping 1 e 1° in Combi 1 ! Allymoon Ursula (Pluri Ch Sequoyahpark Mystical Warrior x Allymoon Heather) 2° in Combi II ! Allymoon Ursula (Pluri Ch Sequoyahpark Mystical Warrior x Allymoon Heather) 3° in Agility II e 2° in Combi II ! 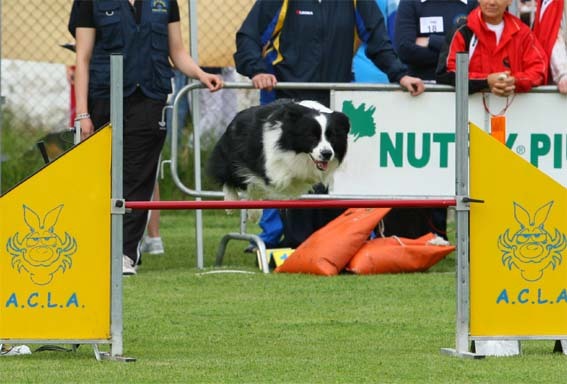 I cani sotto elencati sono gli Allymoon che hanno preso parte alle gare di Agility negli ultimi anni. Molti di loro gareggiano ancora, con grande successo. Congratulazioni a tutti loro ed ai loro proprietari e conduttori. Una menzione speciale a tutti i NAZIONALI ITALIANI e SLOVENI. 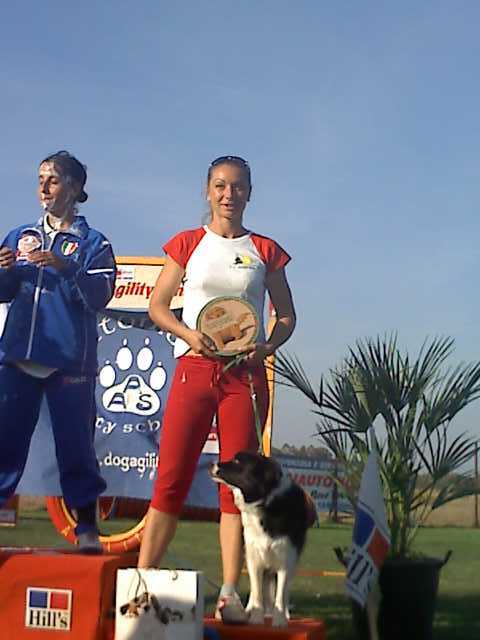 In particolare : a "Delaware" Bugsy, che per quattro volte consecutive (2000-2001-2002-2003) ha rappresentato i colori Allymoon ai Campionati Mondiali di Agility FCI, a Marian qualificata per tre volte consecutive (2000-2001-2002) ed a Stress & Andrea e Easy & Mirja, che si sono qualificati per la prima volta nel 2003, anche se in due squadre nazionali diverse ! Ch. Grandver Master of Magic "Wyoming"
Ch. Wizaland Strike it Lucky "IKE"